De Bijenakker is a historic garden full of wonderful stories. In the first part of this series I wandered through the flowers, orchards, old fruit varieties, herbs and the apiary; today we are going to taste. On an empty piece of land in De Bijenakker soon rises the museum garden of the Taste Museum (English website coming soon!). Walking through De Bijenakker, you imagine yourself in yesteryear. The peace, colours, smells and tastes; the garden is full of unknown herbs and forgotten vegetables. Last summer I tasted a strawberry straight from the land, what a flavour explosion! Now, at the beginning of autumn, the first apples start falling, pumpkins grow in abundance and courgettes are sold in the little market stall. But there is more. 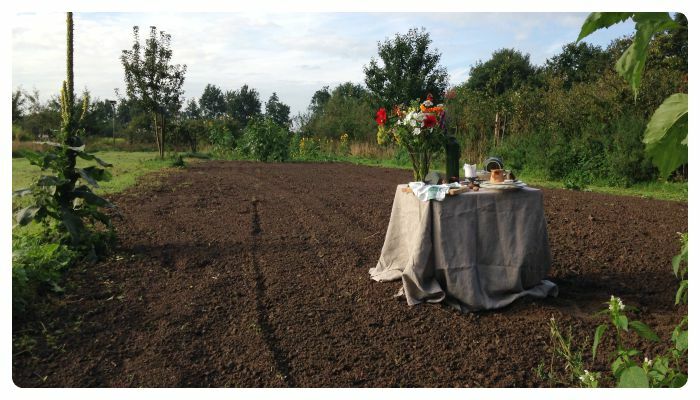 On a piece of land in De Bijenakker May 2016 The Taste Museum will open its “doors”. A fantastic initiative by Creative Chef Jasper in collaboration with curator Henk from De Bijenakker, to make people more aware of tastes, eating cultures and biodiversity. 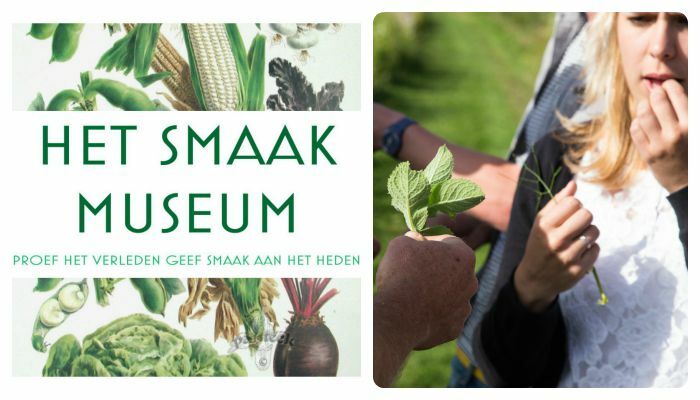 The garden in De Bijenakker will be the heart of the museum and will house the permanent exhibition of flavours. Old seeds from seed banks around the world will be cultivated, photographed and digitized with care. 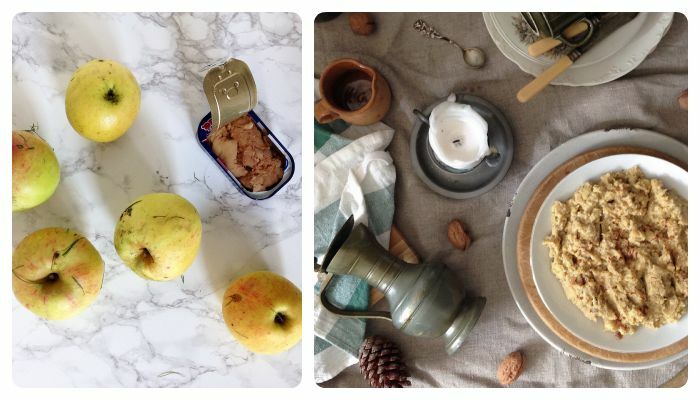 Old cooking habits, cooking stories with flavour, lectures and catering: the interactive and traveling Taste Museum has an educational character. While the sun rises, my brother Sjoerd is filming the museum garden with his drone; we’re shooting a promotional video for the Taste Museum. 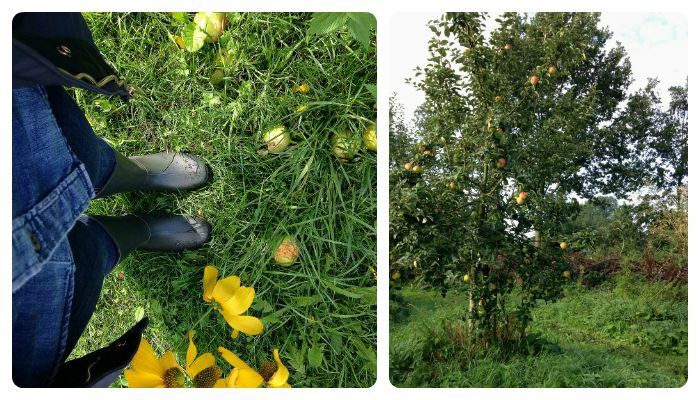 Meanwhile I’m picking some fallen apples to take home for making applesauce. Medieval applesauce in the atmosphere of the Taste Museum, made with fish liver. Believe me, I had my thoughts about this combination for a moment but I have to admit it’s a delicious applesauce! The sauce has a beautiful saffron colour and is a bit creamy because of the almonds. For a very subtle salty taste I used half of the amount of liver as mentioned in the original recipe found on Coquinaria, a (Dutch) blog full of historic recipes. 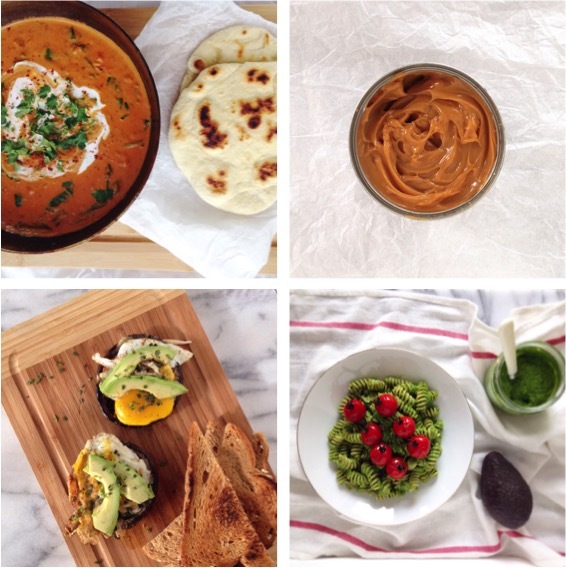 Do you dare to try this recipe? I would love to hear what you thought of it, will you let me know in a comment below?